Jocelyn Alo puts Oklahoma on the board vs. Hofstra with a two-run home run in the first inning. 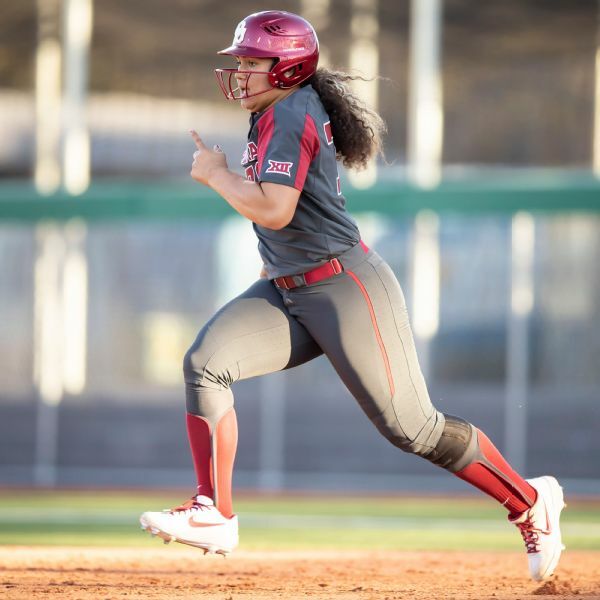 CLEARWATER, Fla. -- A season ago, Jocelyn Alo hit her first home run in her first game with the Oklahoma Sooners. It was one of the many -- 30, to be exact -- that landed her name in Oklahoma, Big 12 and NCAA record books. 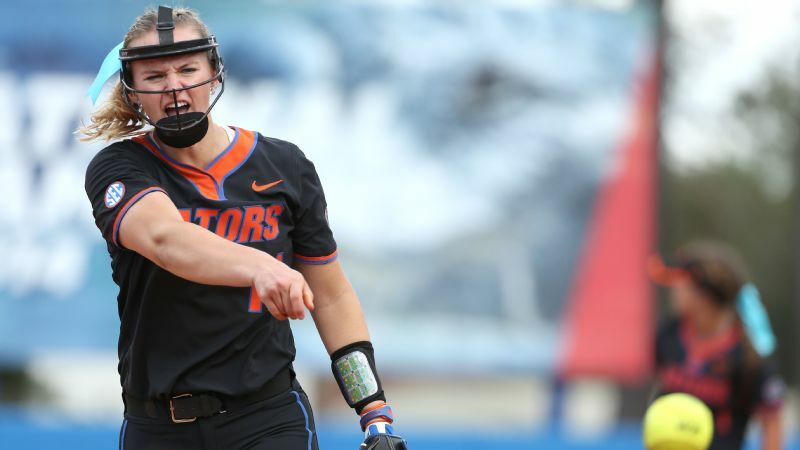 When the sophomore stepped to the plate in the first inning Saturday against Hofstra, she had zero to her credit through the Sooners' first nine games in 2019. And just as the thought bubble "sophomore slump" started to form around the park, Alo took a hard swing and sent the ball sailing over the center-field wall for her first home run of the season. She waited one inning for her second homer. All told, Alo went 3-for-4 in Oklahoma's 17-3 win. She knocked in five runs and scored three on Day 3 of the St. Pete/Clearwater Elite Invitational. Truth is, with the exception of the homers, the day wasn't all that atypical this season for Alo. She leads the Sooners with 16 hits and is second on the team with a .516 batting average and a .583 on-base percentage. She has been hitting all season; she just hasn't been trotting as much. 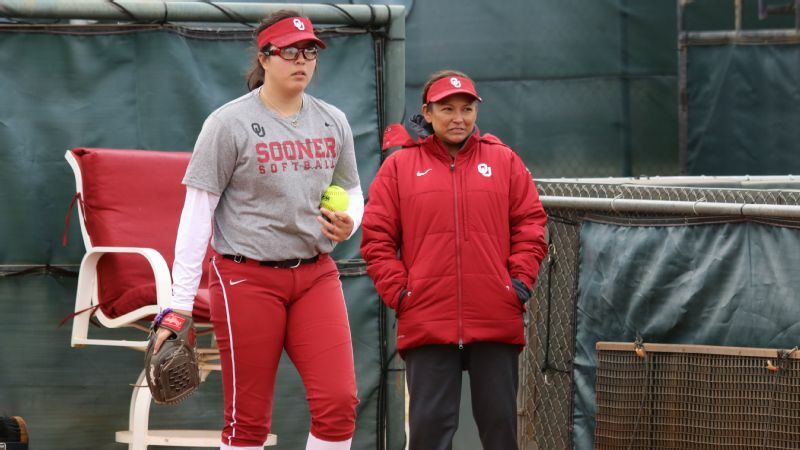 "She understands that last year was last year and she doesn't need to over-swing to try and hit 30 home runs again," Sooners coach Patty Gasso said. Jocelyn Alo led the nation in home runs, home runs per game and total bases last season -- as a freshman. Prior to the game, Gasso praised Alo for focusing on team at bats, and talked about getting Alo to "be in the moment." Those are ideas that Alo parroted. "If I hit a home run, I hit a home run," Alo said. But Alo physically struggled to get those words out. 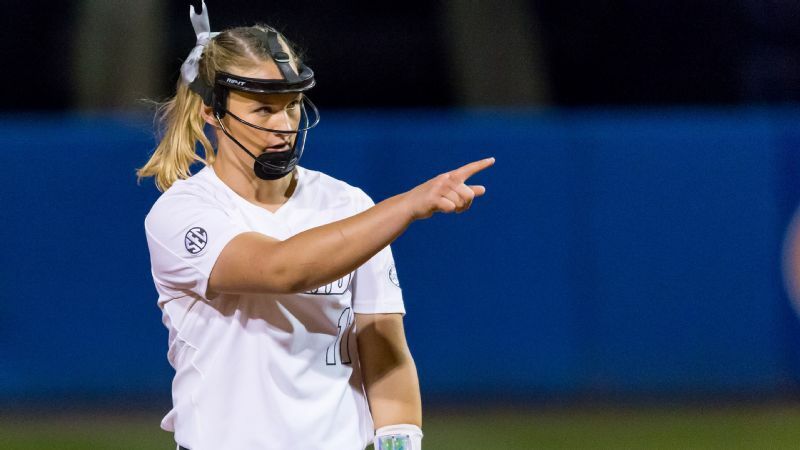 She knew what she should say, what she's supposed to believe, but forgetting about starting the season with just two extra-base hits and no homers is easier said than done. Particularly after she tied the Oklahoma single-season record, the Big 12 single-season record and the NCAA Division I freshman single-season record a season ago. "Her pride is a great thing and sometimes it might get in the way a little bit," Gasso said. "But she's very prideful in who she is and where she comes from. At the same time she's a great competitor and sometimes can be really hard on herself." Stretching along the outside of Alo's thigh and up her hip is a tattoo of Alo's last name in large script with Polynesian symbols running underneath. Six squares for her immediate family -- she wants to add three flowers for her sisters later -- and other symbols remind her to be humble. The lore following Alo is significant. 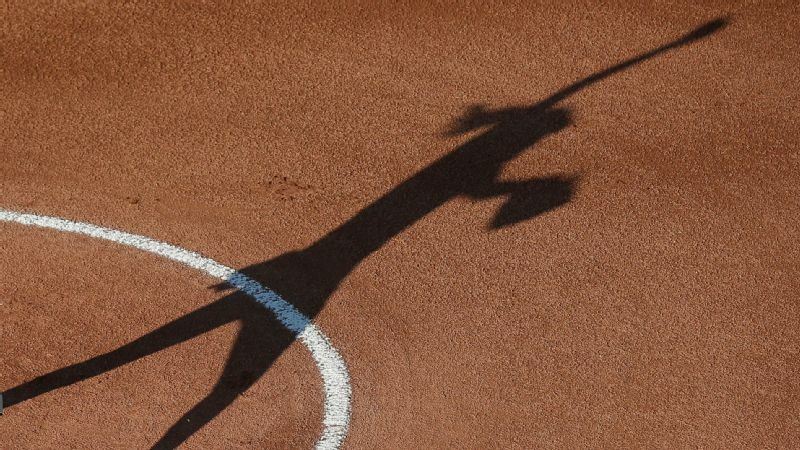 Not many Division I athletes come out of Hawaii, and many media outlets covered the fact that she grew up wrestling and playing baseball against boys. She has 14,000 Instagram followers. "She's a superstar in Hawaii," Gasso said. Alo does her best to stay within herself. She doesn't read any of the media coverage, including this story, and has no intentions to do so. The attention doesn't matter to her at all; the person she is and how she carries herself are what's important. "I take my culture with me everywhere I go," Alo said. That culture now includes Oklahoma. About a month ago, former Sooners pitcher and now volunteer assistant coach Keilani Ricketts was given her family tree from her mother. The name Alo appeared on it. She jokingly asked Alo about her great-grandfather. Turns out, Alo and Ricketts are distant cousins. That connection brought the two of them closer. "There are a lot of people around Joci that are helping her through the overexposure," Gasso said. "She puts a lot of pressure on herself, but I think she's learning to let go of some of that." Alo may not hit 30 home runs again, but she has no desire to get beat by any pitcher at any point. 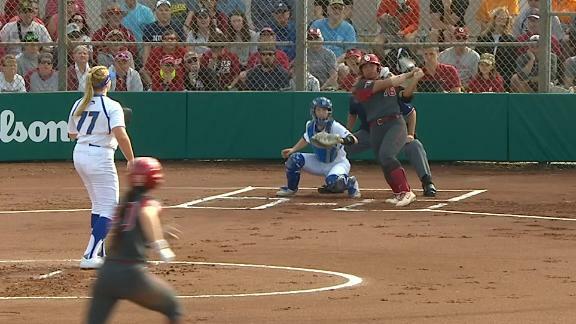 "You've really got find a new way to beat her every time," Oklahoma pitcher and Arizona State transfer Giselle Juarez said. "She kind of scares me a little bit." Alo's game plan is simple: Beat everyone. Even in "a sport of failure," as she said, win every at-bat. 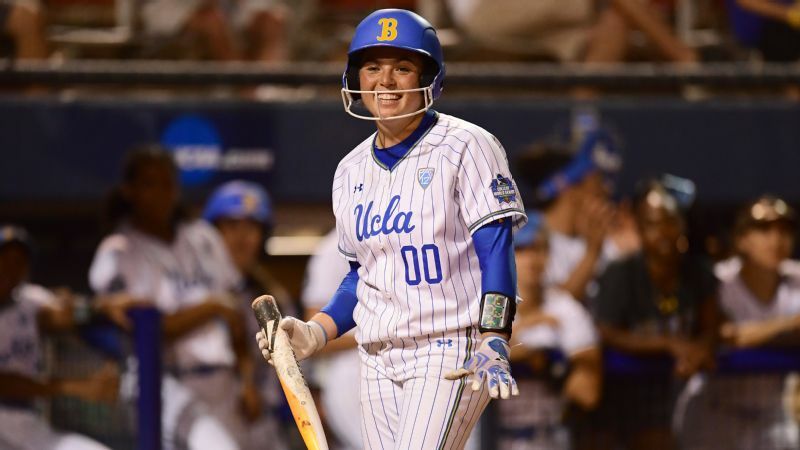 "She wants to be the best hitter anyone has ever seen," Gasso said. In other action ... A pair of stars propelled No. 25 James Madison to a 6-2 upset of No. 6 Tennessee. Kate Gordon hit three home runs and had four RBIs, and Megan Good hit a homer of her own and pitched a complete game, giving up just three hits. It was Tennessee's first loss of the season. Gordon and Good also homered in James Madison's first game of the day, a 6-1 win over Florida Atlantic. ... Defending champion and No. 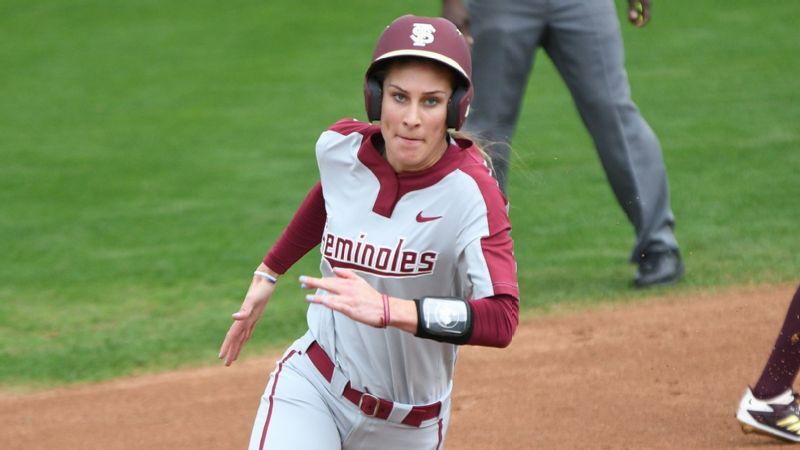 2 Florida State improved to 8-0 with a 9-1, six-inning win over No. 7 LSU. 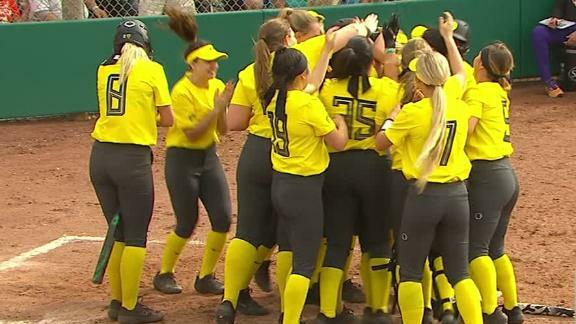 The game ended on a Cali Harrod home run. ... No. 12 Texas beat No. 21 Kentucky 4-3 with a walk-off hit by Kaitlyn Washington. 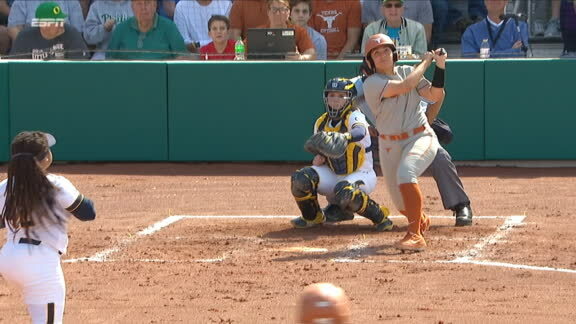 Texas pitcher Miranda Elish struck out 10 Wildcats, but Brooke Bolinger's one-inning, no-hit performance got her the win. ... No. 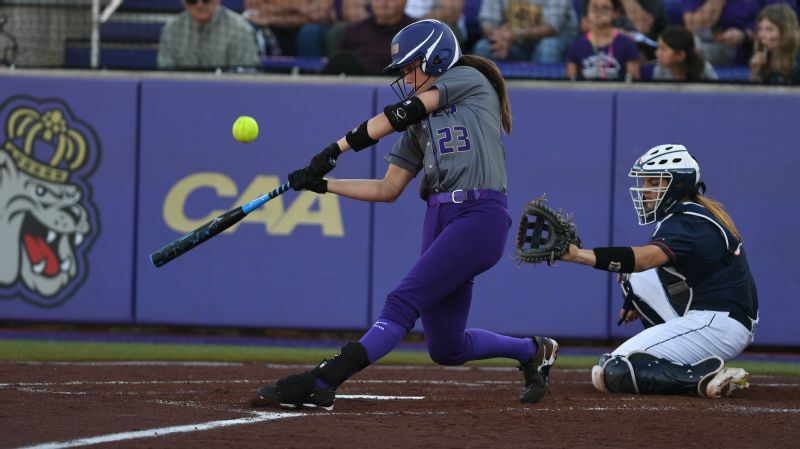 22 Oregon rebounded from Friday night's loss to James Madison University with a 2-0 win over Florida Atlantic University. Following a gutsy performance against No. 7 LSU, Oregon pitcher Jordan Dail threw a no-hitter against the Owls.